When you want to add new PC to an already booting image, it helps to know the Vendor ID and Device ID of the NIC of your motherboard. 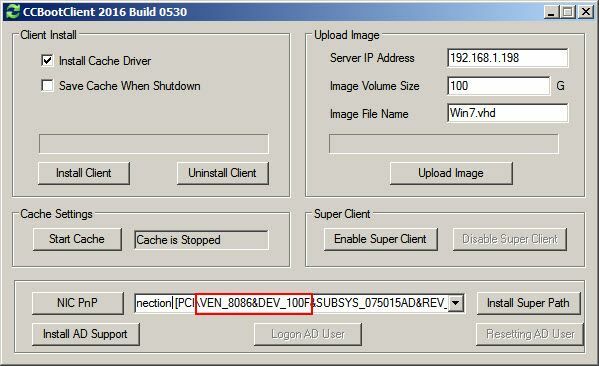 With the NIC vendor known you can download the driver for it and use “Add From INF” to add that PC to the image. 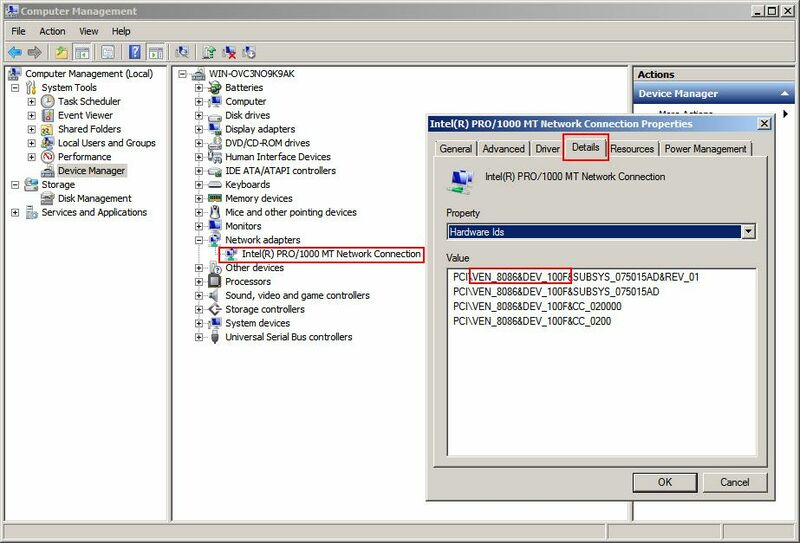 To find out the Vendor ID and Device ID of the NIC follow the steps below (Figure 1). 1. Right click "My Computer" -> click "Manage" to open the "Computer Management" window -> "Device Manager" -> "Network Adapters" -> double click the current network adapter to open the adapter properties dialog box -> click "Details" tab. Note: You can type “devmgmt.msc” in run and press enter to open “Device Manager”. 3. You case use this to find the driver for you NIC. In Figure 1, the Vendor ID is "8080" and the Device ID is "100F". If you are using the latest version of CCBoot, you can also obtain such VEN/DEV ID directly from CCBoot Client application. 1. Open the CCBoot Client application.